If you’re an extremely detail-oriented individual that can handle many complex tasks at once, you may be interested in the field of distribution, logistics and supply chain management. Logistics and distribution managers are required to organize the distribution of different goods. What Is a Distribution, Logistics & Supply Chain Manager? A supply chain manager may eventually become an operations director or the supply chain manager of a larger company. A distribution, logistics and supply chain manager needs to manage all areas of product distribution and warehousing. The transportation of supplies can be incredibly important and complex, as every component will alter a company’s bottom line. Managers are required to determine the most efficient routes for their distributions and ensure that they find the most cost effective methods of distributing them. In addition to this, the supply chain manager will need to negotiate contracts with vendors and ensure that all distributions are managed on time. Each item that is added into distribution channels will need to be added in the most efficient way, and sometimes a supply chain manager will need to build a process from the ground up. Supply chain managers also need to be very knowledgeable about certain product procurement systems and the warehousing inventory systems. What Does a Distribution, Logistics & Supply Chain Manager Do? Supply chain managers need to concern themselves with all elements of the distribution chain. Managers will often need to view reports to see where delays are being caused and how efficiency can be further increased. Managers will also get information in regards to new items that need to be added to distribution and items that need to be removed. Overall, the supply chain manager is responsible for ensuring that all items are delivered in a timely and affordable way. 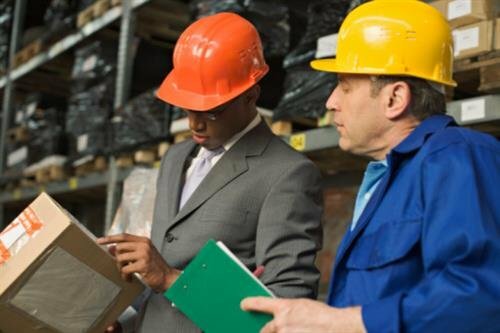 Supply chain managers may meet with vendors to negotiate contracts and may be required to hire or fire employees as they need to. Managers may work for smaller companies or large corporations, and their responsibilities and benefits can vary depending on the type of position they have. Sometimes a supply chain manager may be under a director of operations, and in this case they will work directly with the director. How Do You Become a Distribution, Logistics & Supply Chain Manager? Most people involved in this field will have at least a Bachelor’s Degree in a related area. However, an IT degree can also be useful because most logistics managers need to work very closely with their computer system. Supply chain managers usually have experience in management and at least one to five years of experience within the industry. According to O*Net Online, individuals will get a moderate amount of on-the-job training and many of them have a Master’s Degree. Obtaining further education is an excellent way for those interested in this position to advance. How Do You Advance as a Distribution, Logistics & Supply Chain Manager? A supply chain manager may eventually become an operations director or the supply chain manager of a larger company. This can occur if the supply chain manager proves to be exceptional at their job. The talents that are looked for in a supply chain manager are punctuality and lowered costs. As long as a manager can provide an increased bottom line for their companies and ensure that all deliveries occur on time and in an efficient way, the company will likely find value in their work and will eventually promote them from within. A supply chain manager can also go into related fields. Logisticians are expected by the Bureau of Labor Statistics to grow by an incredible 26 percent in the next decade and there are many other positions in the area of distribution.